One of the biggest reasons people cite as to why they don’t go on vacation as much as they’d like to is cost. But, here’s the thing, there are many affordable vacation spots all over this country. In fact, there are so many hidden gems you’d have to spend decades of your vacation time finding them all. 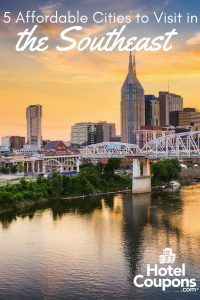 In this post, however, we’re going to save you some time by highlighting some of our favorite affordable cities to visit in the Southeast. This region of the country has just about everything you could want, excellent weather year round, history, entertainment, and, of course, great food. So, get your bags packed and start planning your next visit to one of these budget-friendly hot spots. The Gulf Coast region of Alabama has everything you want from other fancy beach destinations but at a fraction of the price. Beyond the white sandy beaches, you can hit the waves at Gulf State Park, check out the sea turtle nesting season at Bon Secour National Wildlife Refuge, or enjoy one of the many popular festivals that come to the region year round. Raise your hand if you love BBQ and baseball. If that’s a solid yes, then you can’t find a better more affordable destination than Kansas City. First, bring your appetite, because some of the best barbecue in the entire country is going to be right on your doorstep. World famous joints like Arthur Bryant’s and Joes KC are waiting. Once you’ve got your fill, take some time to check out a Royals game with the loyal (and rabid) fan base. 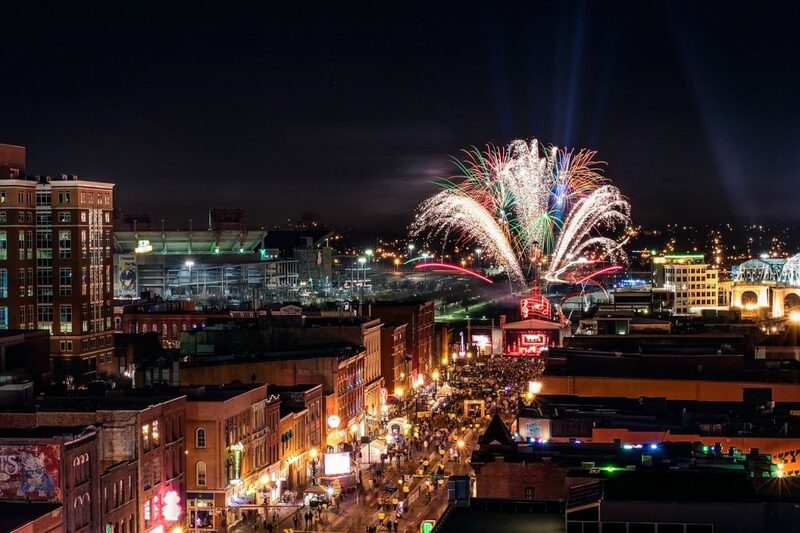 The home of country music has a lot going on every single night and for free! You might want to extend your trip to make sure you see it all! 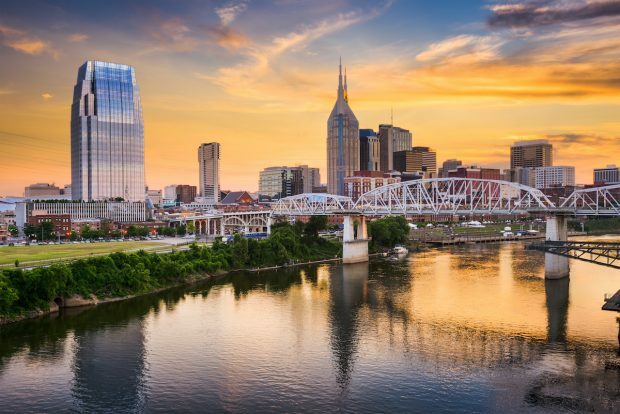 Nashville is becoming one of the most popular cities in the country, and for a good reason. It’s got the perfect mix of small city charm, beautiful weather, craft brews, and of course, endless streams of entertainment. Some popular venues include the Bluebird Cafe, Tin Roof, and The Second Fiddle. Charlottesville is another under the radar spot that’s perfect for a weekend getaway, bachelor party, or girl’s trip. You won’t lack things to do here. If you want to take it easy and explore one of the many local vineyards and cideries, there are dozens of options. For a day trip, it’s not far from Shenandoah National Park’s Skyline Drive. Finally, this area is packed with history too as it’s home to Thomas Jefferson’s Monticello and the University of Virginia. Do you love fun in the sun? There’s no better place than Myrtle Beach. Enjoy the sea during the day and tons of entertainment and nightlife options once the sun goes down. 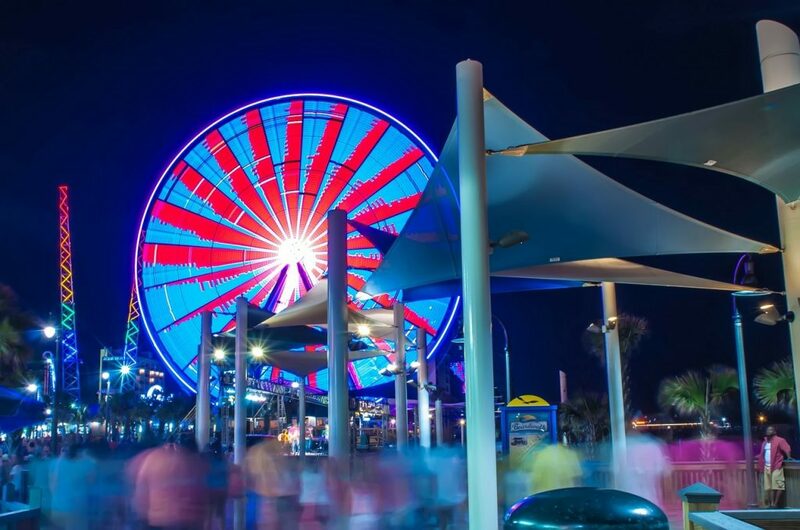 After spending the day at the beach, you can wander the Myrtle Beach Boardwalk, play some mini golf, or take the kids to Family Kingdom Amusement Park. You can be sure they’ll have a blast! So, if you don’t want to put a dent in your wallet this year, there are 5 spots you should absolutely take a look at for your next vacation destination.